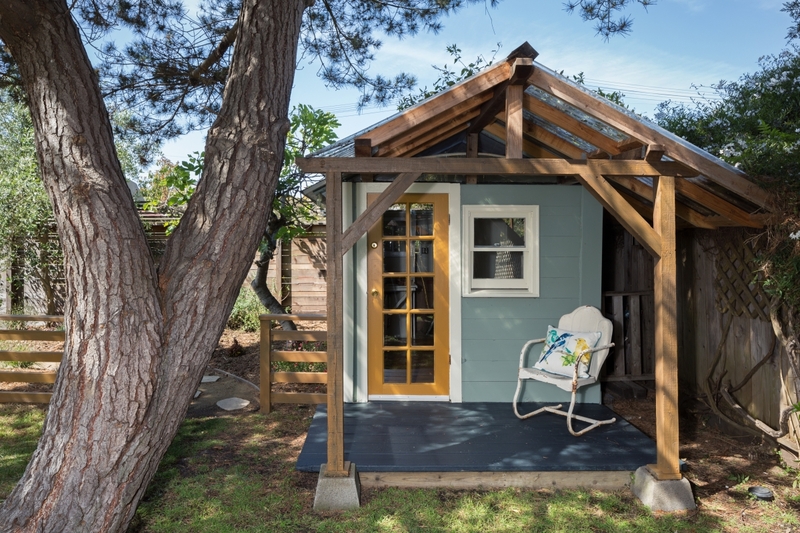 Extra space in your backyard might soon become extra income. Ottawa is working out the rules around coach houses — small, detached apartments on existing lots, such as a dwelling unit in a backyard or a little apartment above a detached garage. There are a lot of unknowns, but one thing is certain: they’re coming. “It’s a provincial requirement. It’s not a matter of if we do it, but when,” says planner Emily Davies. Q Why is the city considering coach houses? A It’s required under Ontario’s 2011 Strong Communities Through Affordable Housing Act. The city’s official plan and zoning bylaws already allow for secondary dwelling units in detached houses, duplexes and townhouses. Coach houses are something different — an apartment outside an existing residence. Q How are they different from garden suites? A Commonly called “granny flats,” garden suites are temporary units, often a trailer, permitted for a limited time. A coach house has a foundation — it’s permanent. Q What’s in it for the city? A Coach houses bring more housing into established areas without affecting public spaces like streets or sidewalks. They’re also a good way to encourage a mix of ages and income levels, and broaden the population base for efficient use of city resources such as recreation facilities. A Renting out a coach house helps pay the mortgage. Seniors could move in next to family members, or downsize from a too-big main house to a coach house. A Coach houses increase affordable housing. More than 80,000 households already spend more than 30 per cent of their gross income on housing. A It could be purpose-built or a retrofit of an existing structure such as a garage or shed. Either way, it must have services including water, sewer or septic, electricity and gas, and it must conform to the Ontario Building Code. Q Where can a coach house be built? A The city is considering urban, suburban and rural areas, and detached lots, semi-detached lots and duplex lots. Townhouse lots are small and may not be suitable. The coach house could face a rear yard laneway, or it could be located in a rear yard, a side yard or a corner yard facing the street. Q What would a coach house look like? A It must be smaller and lower than the main house, and can’t detract from its character. Under current regulations, a detached shed or garage can’t be more than 592 square feet or use more than 50 per cent of the yard. This may or may not be appropriate for a coach house. Zoning bylaws can’t dictate style and building materials, but the city could create “design guidelines” that include elements such as window locations. A How far a coach house must be from neighbouring properties is still a question. Current zoning bylaws have setback provisions. According to the Ontario Building Code, any structure within 1.2 metres of the property line can’t have windows facing the adjacent property. If it’s any more than 1.2 metres, it can have windows on that wall. Q Can the city limit the number of people who live in a coach house? A Under the Planning Act, the city can’t regulate occupancy based on the number of people, although it can limit floor area and number of dwelling units. A This will be considered in the next stage of the study. Current bylaw provisions for secondary dwelling units within a home do not require parking. Q Will development charges apply? A That will also be evaluated in the second stage. As it stands, homeowners who purpose-build a secondary dwelling unit have to pay, but not those who retrofit an existing structure. Q Would I have to pay higher taxes? A Probably. A building permit application usually triggers an MPAC evaluation. Q Can I prevent my neighbour from building one? A Probably not. A municipality’s decision to allow for coach houses under its official plans and zoning bylaws can’t be appealed to the Ontario Municipal Board and homeowners who decide to build one are also exempt from appeal. A The city expects to release proposed standards in January, with recommendations likely go to planning committee in May. For more information, and to fill out the online questionnaire, visit ottawa.ca. The deadline is Nov. 6.